I thought I would post this simply because it can be easy to get this mixed up. 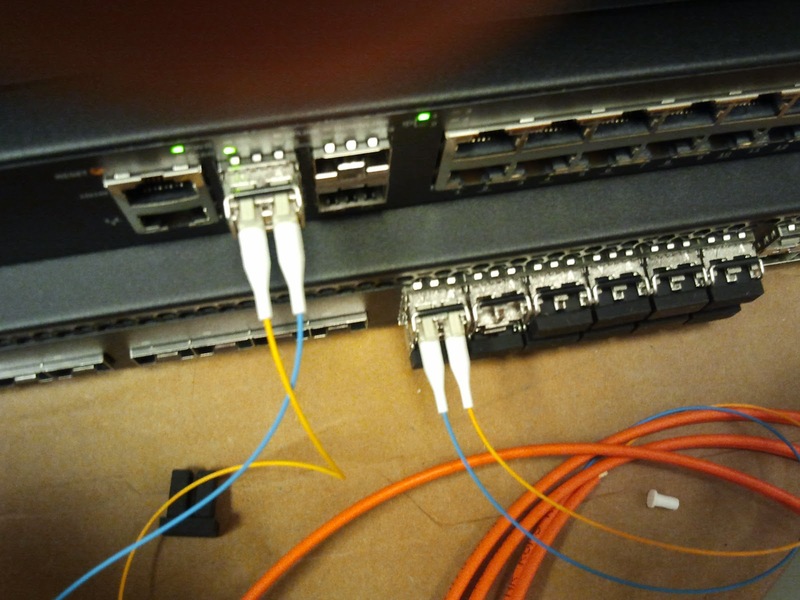 I have had fiber patch cables that were crossed incorrectly (from the manufacturer), etc. to the point where I just thought Id post a picture of what its supposed to look like. See below. TX and RX are crossed over at the other end . Notice in the picture below the orange cable. Notice how on the top GBIC, the orange cable is on the left side. Now look at the bottom GBIC. Its on the right side of the GBIC. They cross these over so that TX goes to RX and RX goes to TX.